For nearly four decades, Pasta Too has left an impression on the hearts of local families through authentic Italian cuisine. Established in the early 1980’s, the Piacquadio family has continued to use time-honored traditions and the freshest ingredients to make their signature dishes stand the test of time. 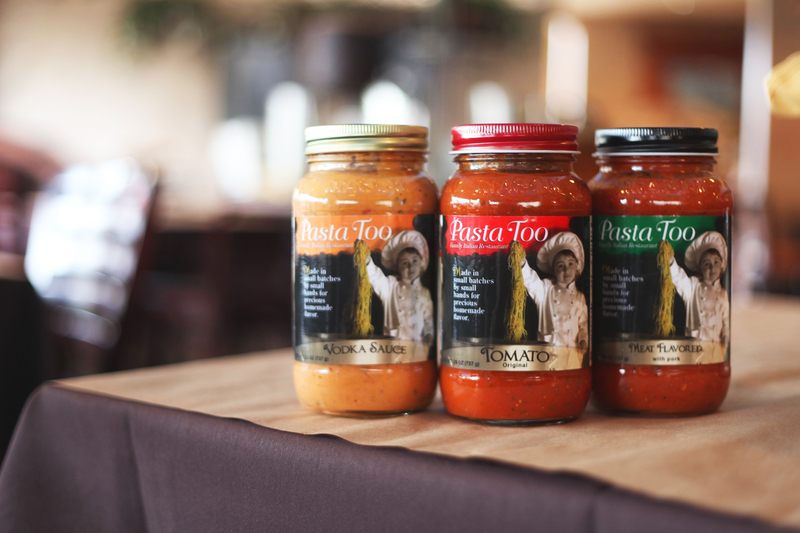 Multiple generations have grown up enjoying Pasta Too’s homemade entrées, sauces and soups! From pasta to seafood, and to everything in between, their restaurant menu never fails to serve up traditional favorites, as well as seasonal offerings, to entice any appetite. In 2015, after much demand, Pasta Too continued to evolve by proudly offering recipes from their kitchen to yours. You can now purchase Pasta Too products in our restaurant, at a local retailer, and online!